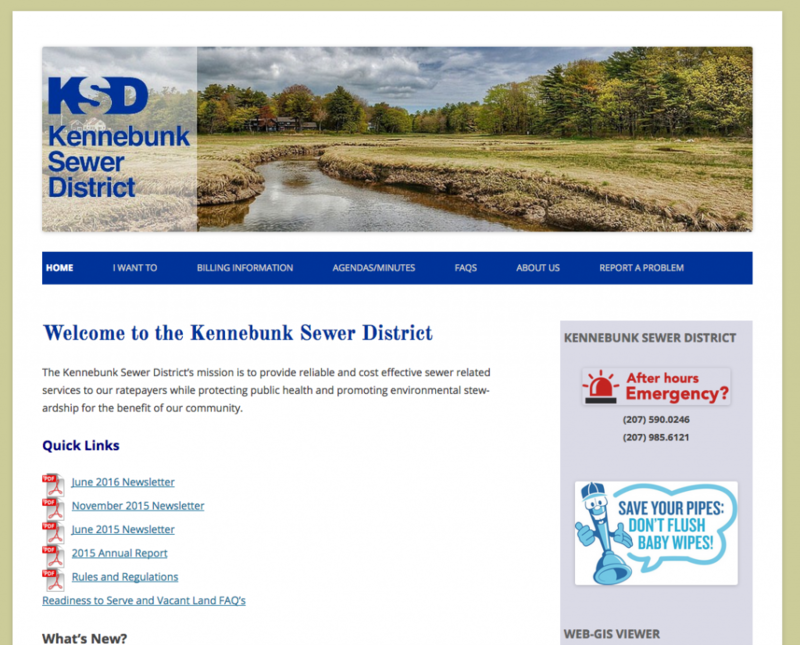 This mobile-friendly, simple design was developed to allow the Kennebunk Sewer District to communicate with its customers. Custom Communications trained KSD staff in how to post agendas and newsletters and keep news items up to date. The site also features a trouble-ticket system where customers can alert KSD staff to system issues and in turn be notified when their issue has been addressed. The site's design uses the work of a local photographer whose images of the Mousam River serve as a testimony as to the importance of the district's mission.